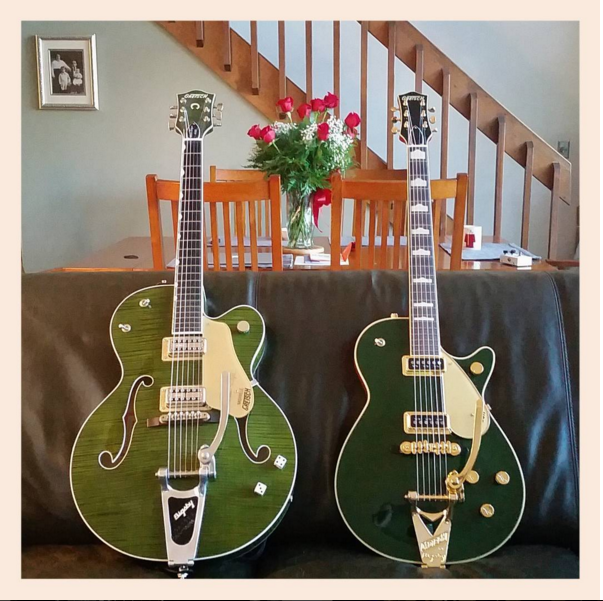 As I’ve gotten older I find myself moving away from the standard Gibson and Fender guitars to Gretsch guitars. I wish I had discovered these years ago, especially the DuoJet. I’ve never played a guitar that felt so right in my hands before. It’s been one of the nicer things about growing older. Electromatic G5126 – this was a factory second. I think I got it for $400.